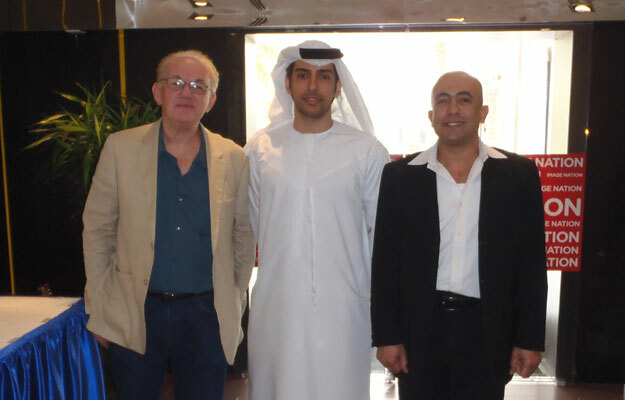 Abu Dhabi, January 2012 – Working on various international projects, Mr. Radwan was invited to an official visit to the Emirates. 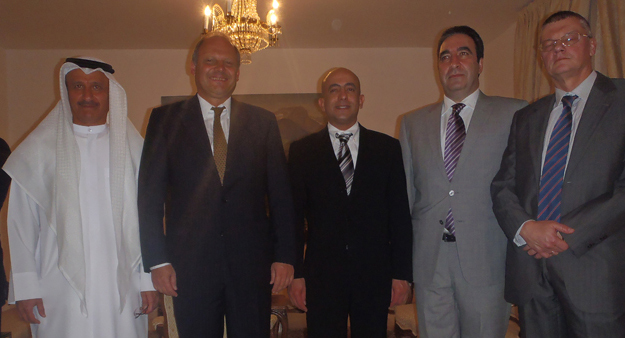 During the dinner reception in the residence of the Austrian Ambassador Dr. Julius Lauritsch on the occasion of Mr. Radwan’s visit, Radwan announced the cooperation on projects between Germany, UK, Azerbaijan, Russia, the USA, the UAE and Austria. Mr. Radwan mentioned that his work is not only to make films but to bring countries together for media projects. And it is not only his intention to do business but it is also an effort to further support ties between countries and to support dialogue between nations. Mr. Radwan a companied by Jeffrey Taylor negotiated and discussed a long-term cooperation with various state and private media organizations and companies, for example with the chairman of Image Nation, Abu Dhabi, his excellence Mr. Al Otaaiba.